A customized Payment Solution for the Education, Personal and Professional Development Industries. Education is a top priority for governments, corporations, institutions and individuals worldwide. However, the trend is shifting towards on-demand, digitized content delivery. SuccessLife Global aims to create a customized payment solution to serve the educational, personal and professional development industries. We intend to develop a marketplace of curated, aggregated, relevant content driven by A.I. and machine learning accessible on-demand, anywhere as well as create an ecosystem to drive demand for and adoption of the token. 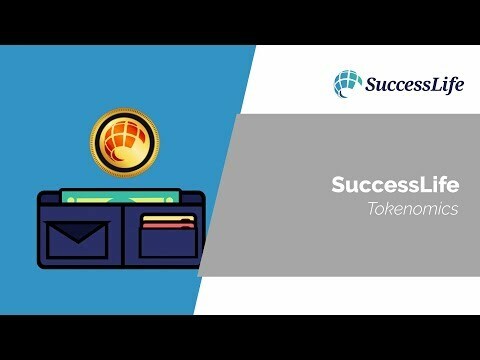 In partnership with its founding organization, Success Resources, with 25 years in the business and 10 million live event participants, SuccessLife Token will be part of a new digital economy in these industries. SuccessLife Tokens will launch with an active international customer base in excess of 6 million persons who have a common interest and pre-existing relationship with an established and respected brand. SLTs will therefore launch with an active international customer base in excess of 6 million persons who have a common interest and pre-existing relationship with an established and respected brand. The funds raised from the SLT sale will be used to build the SuccessLife platform, marketplace and create the SuccessLife Ecosystem which aims to build community adoption of SLTs in the educational, personal and professional development and industries. The rationale is to create a single, seamless payment mechanism for customers and suppliers from across the world without interference from Governmental, Banking, Payment Processing and other similar intermediaries. We aim to democratize the Personal and Professional Development sector and unify it under one common cryptocurrency, viz. SuccessLife Tokens. Announce And Launch “Early Bird” Client Aquistion. Lock Down First Round Content And Finalise Investment Capital. Finalise Affilate Agreements With Content And Service Providers. Build Platform And Close Content Deals/Contracts. Migrate Client Database To Platform. Content Acquisition, Curation And Development Population. QA Functionality, E-Commerce (End-User Testing, User Acceptance Testing) Issue Resolution. Client Hosting Configuration & Migration.